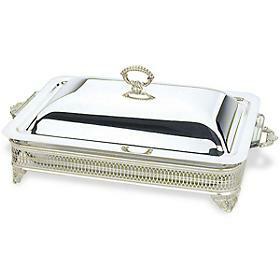 Dazzle guests with this gleaming piece on table or buffet and serve your main course in classic style! 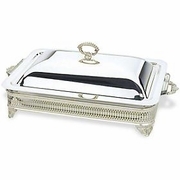 Silverplated with an oven-proof glass liner, it features beautiful pierced ornamental work. 3-quart capacity. L. 18", W. 9"